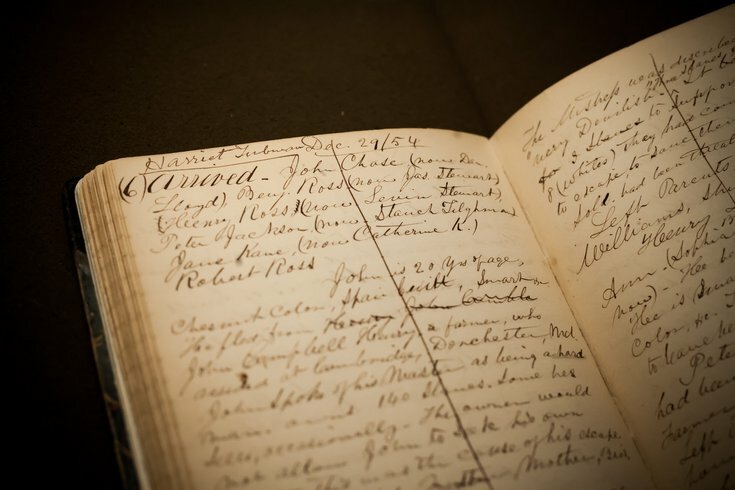 William Still's handwritten "Journal C" includes an entry that references Harriet Tubman. The journal includes biographical information for some 400 fugitive slaves assisted by Still between 1852 and 1857. William Still, Philadelphia's famed Underground Railroad conductor, maintained a detailed journal that listed biographical data for some 400 fugitive slaves he assisted in the 1850s. At the time, discovery of the journal could have endangered hundreds of freed slaves and their families. 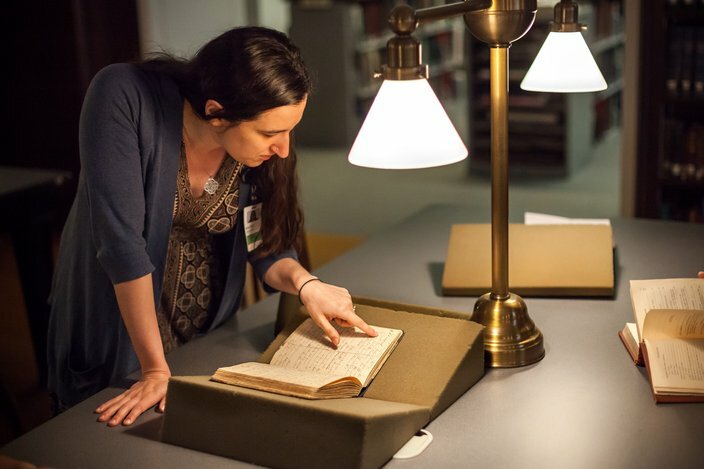 But more than 150 years later, researchers at the Historical Society of Pennsylvania hope the document can better reveal the networks that comprised the Underground Railroad. "Who helped who? What are the nodes of connection?" Managing Editor of Publications Rachel Moloshok said. "William Still is a gigantic one, obviously. Who are all of the people that we can identify that assisted and where are they?" The document, dubbed "Journal C," is no secret to historians. 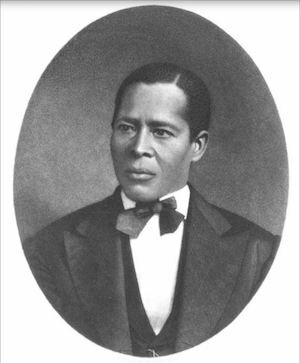 It served as an essential source for Still's 1872 book, "The Underground Rail Road," which detailed his decade-plus efforts assisting slaves on their pathways to freedom. The journal has been available online – as a series of photos – for a decade. But HSP plans to build a searchable database of the people described within it – slaves, slaveholders, abolitionists and others connected to the Underground Railroad. Ultimately, the information could be used to piece together networks of the Underground Railroad and possibly help African Americans trace their lineage. "What I'm really excited about is being able to create these linkages," HSP Chief Executive Officer Page Talbott said. "Once you have the data mechanically entered in, there's just so much you can do with it. This is the kind of thing that I feel passionate about making available to individuals for whom the past has been really opaque." 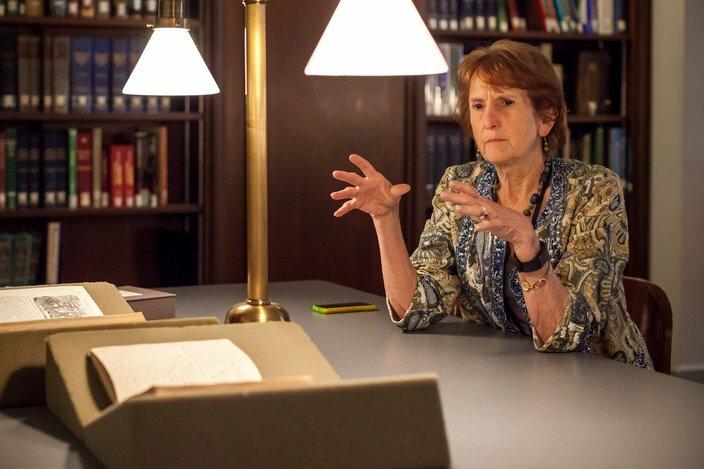 Page Talbott, president and chief executive officer of the Historical Society of Pennsylvania, discusses details of an entry in 'Journal C,' a handwritten diary by William Still about the fugitives he helped in the Underground Railroad. 'We consider this one of our treasures,' Talbott said. Still, a free black man who moved to Philadelphia from South Jersey in 1844, helped hundreds of fugitives escape slavery as part of Philadelphia's Vigilance Committee. His best-known efforts include assisting Henry "Box" Brown, who mailed himself from Virginia in a wooden crate, and helping Jane Johnson leave her master while traveling through Philadelphia, an act that sparked a challenge to the 1850 Fugitive Slave Law. Often called "The Father of the Underground Railroad," Still carefully hid his accounts, knowing they would be essential as family members separated by slavery attempted to reunite later. Still's efforts persisted for the better part of two decades. But from 1852 through 1857, he filled "Journal C" with detailed descriptions of the escaped slaves he encountered. Still commonly listed their names, former owners and destination points. He also recorded their appearance, reasons for seeking freedom and accounts of abuse. “Arrived. William Nelson and Susan his wife, and his son William Thomas…William is about 40, dark chestnut, medium size, very intelligent, member of the Methodist Church … His owner's name was Turner & Whitehead with whom he had served for 20 years in the capacity of "Packer." He had been treated with mildness in some respects, though had been very tightly worked … Had been sold once one sister had been sold also. He was prompted to escape because he wanted his liberty—was not satisfied with not having the privilege of providing for his family." Given the dangers of maintaining such incriminating information, "Journal C" stands alongside a similar document kept by Sydney Howard Gay, a white abolitionist in New York City, as one of the few records of its kind. "You can imagine somebody scribbling these notes in 1855 and thinking, 'Oh my gosh, if anybody ever gets their hands on this, the entire network is doomed,'" Moloshok said. "Just a few years later, slavery would be over. Then you could brazenly publish this, basically as a 'How I did it guide.' A lot of these stories get turned into chapters in 'The Underground Rail Road.'" Three years ago, Moloshok and several colleagues began working on a prototype that mapped connections between the figures in both "Journal C" and "The Underground Rail Road." For one year, they researched three families included in "Journal C," logging both their geographic movements and social networks. "For every person, we tried to map ... geographically where they came from, where they traveled, where they were in Philadelphia and where they ended up," Moloshok said. "We're tracing the family relationships, master-slave relationships, the Vigilant (Committee) – that's the name, basically, of the Underground Railroad." One of the three families – a young couple – confronted armed slave catchers as they attempted to reach Philadelphia. "They took out their own arms and had a little standoff before they made it to Philadelphia," Moloshok said. "They got married by an Underground Railroad conductor in upstate New York. ... Later on, he actually came back, snuck back to the South and found some more of his family members and got them out too, up through Philadelphia." Rachel Moloshok, managing editor of publications at the Historical Society of Pennsylvania in Philadelphia, reads an entry from William Still's Underground Railroad diary. The historical society intends to expand upon that research, initially funded by a planning grant issued by the National Endowment for the Humanities. But without additional funding, HSP is moving forward at a more modest pace, Talbott said. There are more than 1,000 names listed in "Journal C" and "The Underground Rail Road." Building a searchable database will enable other researchers to more easily construct the type of networks examined by Moloshok's group. Researchers could study other family histories, track migration patterns, examine intersecting Vigilant networks or tackle other themes. Any of it could enhance modern knowledge of the Underground Railroad. "The Underground Railroad was an interracial, bottom up, class-crossing organization that relied on poor people, ordinary people and people of color," Moloshok said. "It was often really driven by the fugitives themselves and not just these white savior types who set up a whole Underground Railroad and fixed it." Talbott hopes to launch the database within a year. Maybe then, more stories and networks will be uncovered. "It will hopefully have the potential to allow people to create networks on their own," Talbott said. "If you were trying to reconstruct the names of people who were from a particular part of the south, you would have ways to search by location. You could potentially search by name of slaveholder or, if you knew your relative's name as a free person, you could go backwards." Even after the database is complete, "Journal C" will continue to sit at HSP, its pages available for any researcher to peruse. "We consider this one of our treasures," Talbott said. "It's kept in a locked case with our founding documents. We do share it and we show it to people. It inevitably strikes a chord with people. "That's one of the things that makes HSP really special. You can come into the room and look at the paper, smell the paper. It's a real tangible piece of history. It will always leave you moved."